Hello BH Guys and Girls. Recently, I've been working on my new spring line, otherwise known as BH Spring. This will be my third line since the revamp of my company. Looking back, I realize how far By Hollis has come, and I can't help but get excited to think where By Hollis will be in a few years. This led me to the idea of today's blog post. 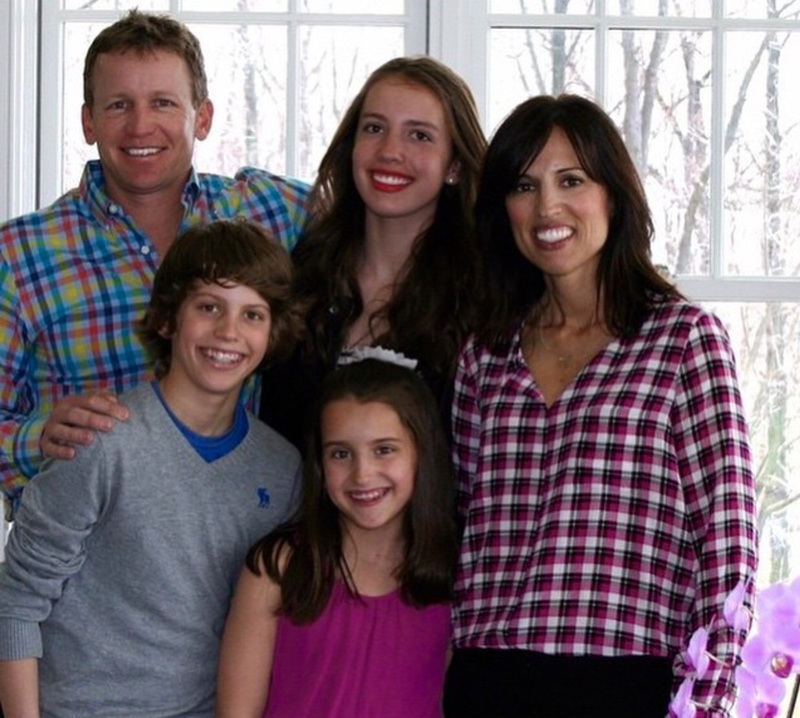 I want to give a behind the scenes look of who I am, and why I started By Hollis. I want to share who's behind the website, products, and social media sites and give an inside look on how By Hollis began. I hope you enjoy today's post as much as I enjoyed building By Hollis. My name is Hollis Kolmansberger, and I founded By Hollis at age 14. I'm 16 years old now, and I am a high school sophomore. I'm Pennsylvania born and raised, and I love where I live. We're right next to Hersheypark, the hot spot for a summer day, and a ski resort for the colder ones. I live on a hill, where you can look up and see mountains upon mountains. (Right now I'm stretched out in a chair on the porch, looking at the mountains. I come out here as much as I can for BH inspiration or homework purposes). This isn't my only place that triggers ideas, though. I travel as much as I can, and it's usually to California. In fact, CA ultimately inspired my brand. There is a lavish amount of meaning behind the signature wave of By Hollis. The first time I saw the California coast was a memorable time, I wanted to bring some of it home to PA. But the biggest reason the wave was chosen to represent my brand was for someone back at home- my dad. His name is JK Kolmansberger (his real names is James, but he has always gone by his initials since his dad's name was James as well). My dad was born a risk taker. He's been an entrepreneur for a long time, reasons why I look up to him as much as I do. I can certainly say that I wouldn't be where I am without his daily teachings of business. He has had many different style companies; an equipment rental service, to a footwear manufacturing company, to an arcade game and vending business, and more. All his lessons and experience led him to creating a technology company that focuses on big data analytics. He founded his company, VisiQuate, with my best friend on opposite coast's dad. His name is Brian, and my friend's name is Haley. She's the reason I'm often in California. VisiQuate started with Brian and my dad taking huge risks, and about eight years later, the risks have really paid off. They want from having an office only in Santa Rosa, California, to now offices in Harrisburg, PA, Dallas, TX, Manhattan in NYC, and across the world in the Ukraine. His success and drive always pushes me to work as hard as he did. In the end, I really just want to make him proud. My dad has a tattoo of a wave on his ankle, he got it in college when he used to live and surf in California. That tattoo, no matter how much he says he hates it (it now looks like a colorful blue blob of ink), is what By Hollis is founded on. Every time I see a wave on a shirt, (or maybe something else? BH Spring coming soon!!!) it represents his dedication to having a wonderful motivation at whatever he does, and I couldn't be more grateful that he is my dad. My dad, mom, brother, sister, and I.
I've known for a long time that I wanted to be in the design industry. Initially, I want thinking interior design. Then, I realized my fervor for fashion. I begun learning different brands and styles by watching Fashion Week, learning from my mom, and following as many designers I could on Instagram. I felt that wasn't enough- and that's when I thought about my own business. I didn't know how I would do it, or when I would do it. All I knew was that I wanted to get experience in the real world. One weekend I was at a soccer tournament and I went to buy a tourney tee shirt. I watched the lady at the stand whip out a quality shirt with a heat press, after I told her what color shirt I wanted as well as the decal. "Mom, I could use that to make shirts," I said. She liked the idea. That week, my parents loaned me money to buy my own heat press and transfer paper. I also found a local clothing distribution center to buy shirts from. I thought learning how to use the press would be easy, and let me tell you, it was not. There were countless obstacles to jump over and setbacks. After a few months and copious amounts of trail and error, I had a product I was ready to sell. The very first Designs by Hollis tank. My approach was unique, because I wasn't exactly following the rules. I designed my shirt on pages document. I used the wrong printer for the shirts, but somehow, it worked. I decided to set up an Instagram page. All I needed was a name. I bounced around a few ideas like Cerulean (my favorite shade of blue) or Raspberry Co. (one of my favorite fruits). My mom was a huge help in this process. Her name is Kristie Kolmansberger, and much like my dad, she is very motivated. Everything she starts, she finishes. She loves interior design, and is very stylish. I've always been dazzled by her knowledge of fashion and the next-big-thing brands. She gave me the idea of sticking with my name, which I must give her credit for, because without my name being a little out-of-the-ordinary, my brand wouldn't be what it is. We decided on Designs by Hollis. I started my Instagram, made a few more tanks, and posted away. I didn't have a website back then, so people bought shirts by emailing me with their desired shirt and size. After a few weeks, I sold over 50 shirts. I was ecstatic, and fresh and imaginative ideas were coming to life everyday. One of the old, heat-pressed tanks. Along the ride, I've learned a lot of life lessons. I learned how to better my time-management skills, because balancing school and my little business was challenging. I remember staying up until 12:00 AM printing the shirts in time for school the next day. (Most of the shirts I sold were to people at school back then). Some nights I thought to myself if it was worth it, and I'm glad my answer was yes. I also learned that along with ideas, you'll have people who spit on them. I remember when I got my first negative comment about my brand... All I could think was why someone would take the time to say something so mean? I wasn't harming anyone with my shirts, but this person still felt the need to lash out at Designs by Hollis. I talked to my dad about it later that day, and he simply said, "I feel bad for people who experience life that negatively." That really spoke to me, and I try to remember that when certain people share their harsh thoughts about my brand even today. Flash forward a few months, to the summer before my first year of high school. That summer, Designs by Hollis flourished. It wouldn't have happened without what I refer to as "the revamp." That summer, on my way out to California, I begun building the website you're on right now. It was a three month process, and once it was over I was happy with the results. I also set up a custom email, hollisk@byhollis.com. That process included programming and coding and other tech terms that were very confusing, well, that's an understatement. After long days and nights of building something I can be proud to put my name on, I had one more step. That was to develop a killer product. During freshman year, I continued to heat press shirts and sell them on my website. Business got slow. I realized I had to not only change my look, but I had to change my product. During the website building, I started from scratch to create a logo that fit. It started with shortening up Designs by Hollis to By Hollis and ended with my current logo, and I was very happy with the results. It brought forth the laid-back and beachy vibes of California while symbolizing what I believe in. I decided to start with that logo for my first shirts of the new company. That's when I made the decision to switch from the heat press in my basement to screen printing. There just so happened to be a screen printing shop down the street from me, K&D Graphics. I introduced myself and we decided on doing business together. They gave me the minimum of 24 shirts per order (I later found out they weren't making money off of those orders, but they wanted to help me get off my feet. I cannot express my gratitude enough for their kindness). They printed the shirts and I was more than happy. The shirts represented my personality all the way. I uploaded them onto my website and that's when it all begun. I uploaded my shirts to the website along with a few pictures from the photo shoot. The first shoot for the new shirts featured two of my best friends going on 12 years of friendship, Bayleigh Ebbert and Molly Walter. 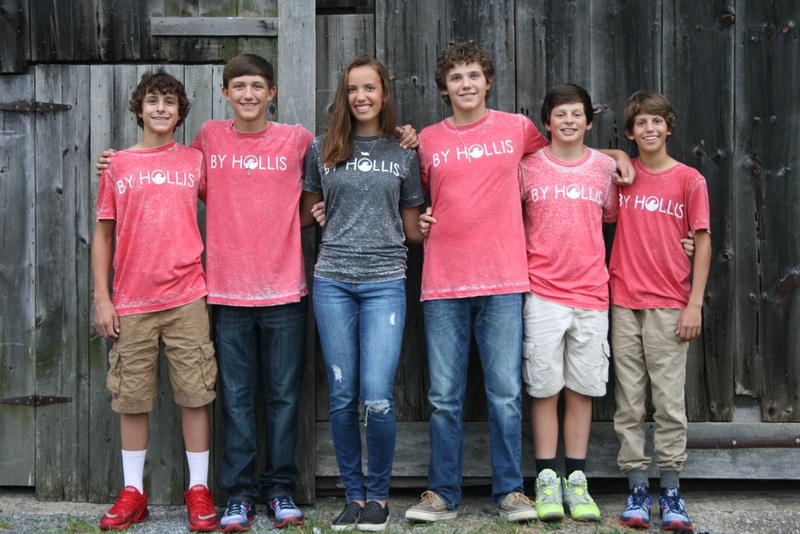 They model all the time for By Hollis, so this wasn't their first photo shoot. But I will say that it was it was the first photo shoot we were all truly proud of. The shirts were stylish and they were crazy great models (Molly actually modeled as a kid in New York City, so she would teach the basics to Bayleigh and I during the shoots). The first photo shoot with Bayleigh and Molly in the new shirts. In the mix of this, my brother, Braden, was playing in his final little league season with the opportunity to make it to the Little League World Series. The whole summer leading into sophomore year, we were driving all over to watch the games. Before we knew it, Red Land Little League made it to states. Red Land is made up of a tiny community. The boys have been playing baseball together since they were 5, so this was a huge advantage in their games. They knew what each of their teammates was going to do before they even did it. The ride went on, and we won states. It was off to Bristol, Connecticut for regional tournament. I still remember the moment where the boys won the championship in regionals that sent us to Williamsport. Cole Wagner (a fellow model for By Hollis) was pitching. He struck out the kid at home plate to end the game, and all the boys and coaches ran to the mound. Cheering. Smiles. Everywhere. The boys had By Hollis shirts that they wore around Bristol, and then, Williamsport during the World Series. The coolest moment was when I saw someone other than the boys in my shirt at one of the games. It was slowly starting to sink in that we were here, and the boys were excelling. Finally, we made it to the game where the boys were crowned Little League World Series U.S. Champions. That day was also my 16th birthday. Looking back, it was the best birthday anyone could ask for. At this point, the boy's social media's were blowing up with followers. Braden modeled for By Hollis before all the baseball craziness, and after the game he posted a picture in his shirt. Before I knew it, By Hollis was blowing up. I realized this was my way to get my name out there. My cousin decided to wear his shirt to some games, so it was on ESPN. The boys were wearing their shirts after the games. People saw, and By Hollis was becoming a known name around Williamsport. The Little League World Series ended the next day, but the attention and support from the community didn't. I checked my phone the night of the last game, to see over 10 orders in 1 hour. That's when By Hollis took off. Over 400 orders were placed over the next few months, and it was time for another product and photo shoot. That's when the BH Signature Tee in Red Acid Wash was released, in honor of the boys and their success. And what better models then a few of the boys themselves? We had the photo shoot a few weeks later, and they made wonderful models (who knows, they may be back for BH Spring!!). That photo shoot brought forth over 3000 new followers and and numerous customers. I was beyond happy to share my product with the world. Since then, I've sold more shirts, released new products, and learned more than ever. By Hollis is being represented in almost every state in the United States. 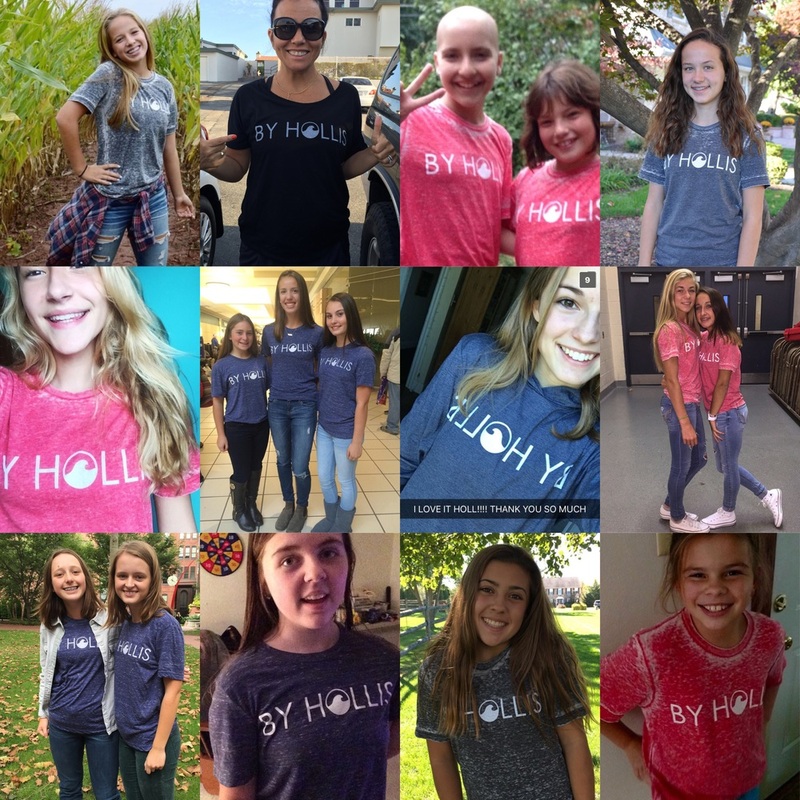 Photos are being sent in every day of BH Boys and Girls in their shirts. If someone told me By Hollis would be where it is now when I was 14, I wouldn't believe it. And there's no stopping. 2016 will be a big year for By Hollis, and I cannot thank you enough for riding the wave with me on this journey. As Estée Lauder once said, "I never dreamed of success. I worked for it."